The Austin Aztex have chosen Admiral to be the club’s official sportswear and technical kit supplier for the team’s 2012 season in United Soccer League’s PDL division. Admiral will provide Aztex fans authentic replica merchandise including; the authentic game day jersey and a complete range of the team’s training and travel gear in addition to fan-wear such as hooded fleeces, jackets, baseball caps, t-shirts and scarves. These products will be available in the near future at Admiral’s on-line store www.admiralsoccer.com and on match day at the stadium. The Aztex will unveil the kit with players and coaches at a community event in April. The Aztex season begins on the on May 5 versus the Texas Dutch Lions at WoodForest Stadium in Woodlands, Texas. The Aztex will host their home opener on Saturday, May 19 at 7:30 p.m. at House Park against the El Paso Patriots. Admiral, founded in 1914, first began manufacturing sportswear in 1966, when England won the World Cup. The company was a pioneer of the replica kit market, creating home and away kits for England, Leeds United, Manchester United, Tottenham Hotspur, West Ham and expanded overseas to the US, Canada and South American markets. Admiral designs, manufactures, markets and distributes team wear, leisure apparel and accessories. 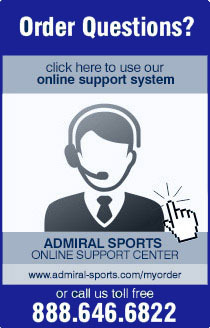 For more information, visit admiralsoccer.com.